Photodigm DBR Laser Diodes set the world's standard for precision laser diodes in the short wave IR. These devices deliver beams rivaling those of bench-top systems. In recent years, these research systems have blazed new trails in optical engineering, opening up new concepts in spectroscopy, diagnostic imaging, and metrology. The monolithic Distributed Bragg Reflector (DBR) laser is making these instruments commercially viable. 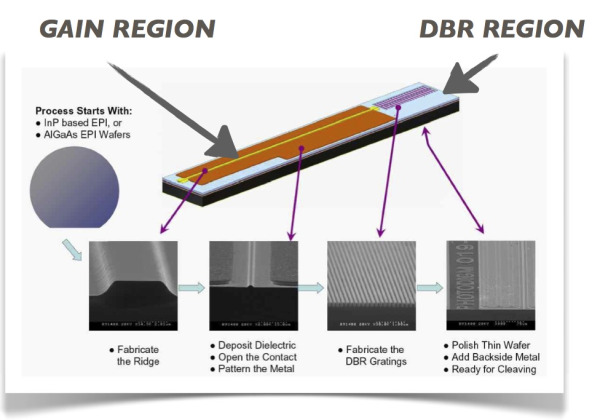 The DBR Laser delivers single frequency, phase coherent photons at a precise wavelength. The Laser Diode is a monolithic semiconductor chip consisting of a resonant cavity with gain medium and feedback elements. The DBR laser, commercially pioneered by Photodigm, brings together single growth epi, precision fabricated gain ridges, and passive gratings to deliver unmatched semiconductor laser performance. The graphic below steps through the critical features of the Photodigm DBR as they are fabricated. Photodigm DBR lasers deliver performance equivalent to bulky and expensive research lasers at 1/1000 the volume and scalable pricing. Photodigm DBR lasers are designed with proprietary single growth epi, thus avoiding the defects introduced when the wafer is subject to multiple growth steps. During operation, current is injected into the Gain Ridge and conducted to the quantum well, where photons are produced. Our engineers have mastered the design and fabrication of the gain ridge to produce a high power, single spatial mode beam. DBR Gratings form a wavelength selective mirror at one end of the cavity. Photodigm DBR gratings are passive and are not subject to aging during life. Their bandpass is constant over life, making them ideal for procession metrology. Photodigm DBR lasers are Edge Emitters. The emitting area corresponds to the width of the gain ridge and depth of the quantum well. At the cleaved facet, Photodigm applies a proprietary passivation coating to prevent catastrophic optical damage. 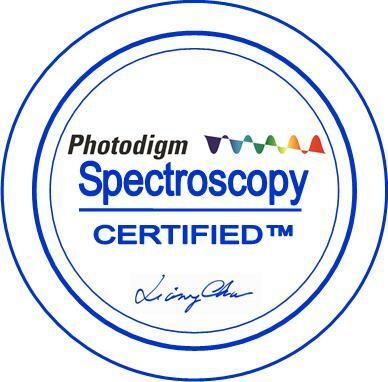 Photodigm lasers operate reliably at high powers for their rated lifetimes. Laser Fabrication is a critical element in Photodigm's busines. 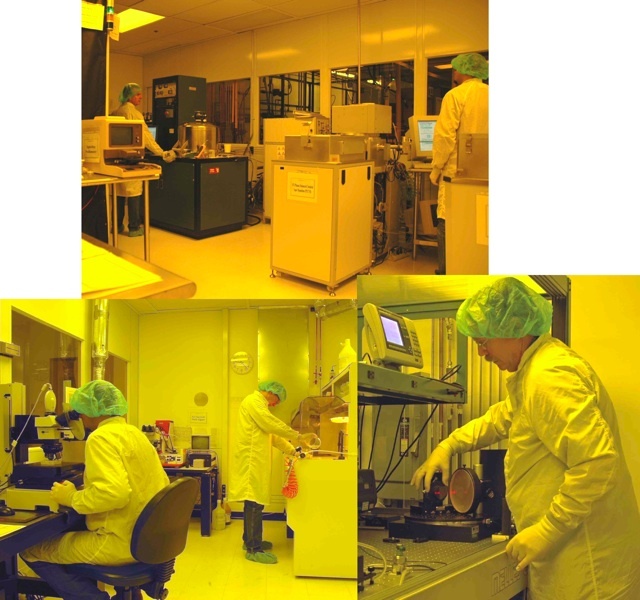 We maintain our own state of the art laser wafer fab. We are proud to be a primary manufacturer of semiconductor lasers based in Richardson, Texas. The Photodigm laser fab in Richardson, Texas. Our proprietary tool set provides us with a unique capability that ensures leading edge performance of our products. 976 nm and 1064 nm. Please inquire about others. Our extended mode hop free DBR lasers can be tuned over a full 2 nm. Speed Photodigm DBR lasers can deliver high modulation rates or short pulses. They deliver low noise beams with linewidths below 500 kHz. Modulation rates up to 6.8 GHz and pulse duration's of <100 psec are available. The long coherence length and long term stability of Photodigm DBR lasers make them important frequency standards, calibration references and spectroscopic sources. Photodigm's first commercial product was a DBR laser tuned to the Rb D2 line at 780 nm. This photo shows the D1 fluorescence of Rb vapor at 795 nm when excited by the D2 line. Over the years, Photodigm has worked with our customers to understand how our DBR lasers perform in many applications. We have developed our website to be a valuable reference for our customers. It contains data sheets, product bulletins, and a series of Applications Notes to help our customers utilize our products better. Our website also has a library of peer reviewed articles by Photodigm as well as links to publications describing work by others using Photodigm DBR lasers. 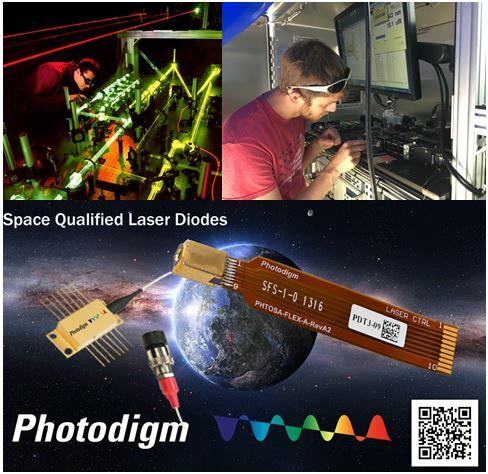 The unique and defining characteristics of Photodigm DBR lasers offer both the OEM instrument manufacturer and the individual researcher a powerful enabler for probing the physical universe.